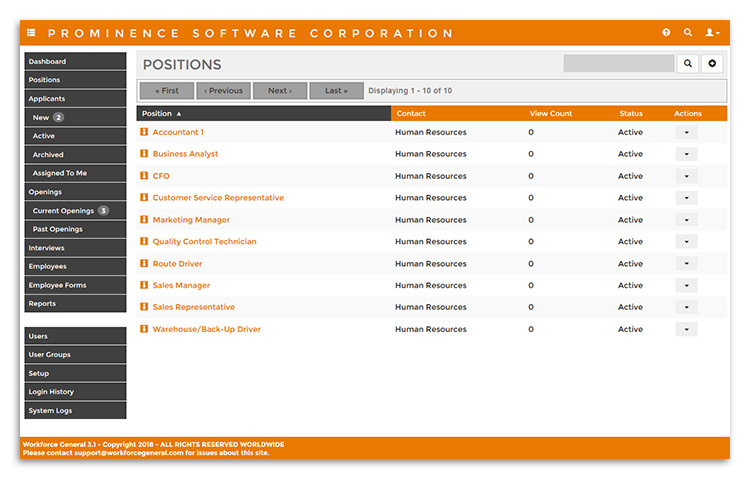 Workforce General has a full-featured position management tool built in. You can define your organization’s position and enter the job responsibilities, education requirements, and more. This information can be presented to prospective applicants through the online application pages. 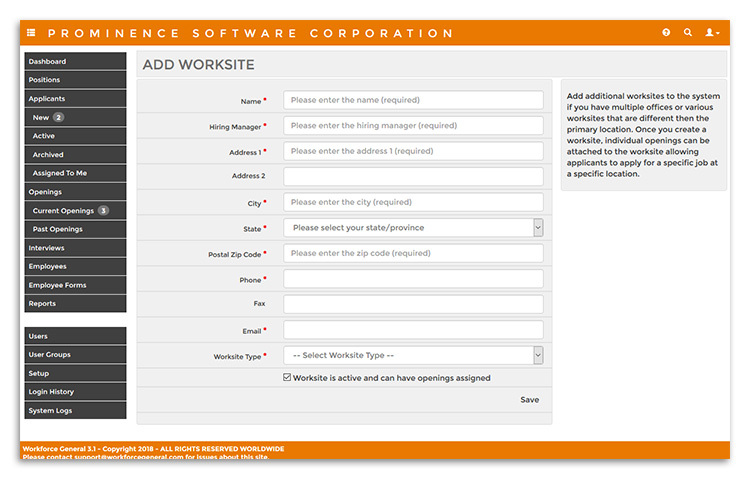 Using the “Openings” functionality of Workforce General allows you to create an opening for a specific position. Each opening can have different attributes, e.g. when it closes and contact information. If your organization has multiple worksites (more than one office or off-site job worksites), your openings can be tailored for specific locations allowing potential applications searching for open positions in a given area or ZIP code. Positions that are published to the public can be viewed by potential applicants. Workforce General has built-in tracking tools so you can see how many times your open positions are being viewed.